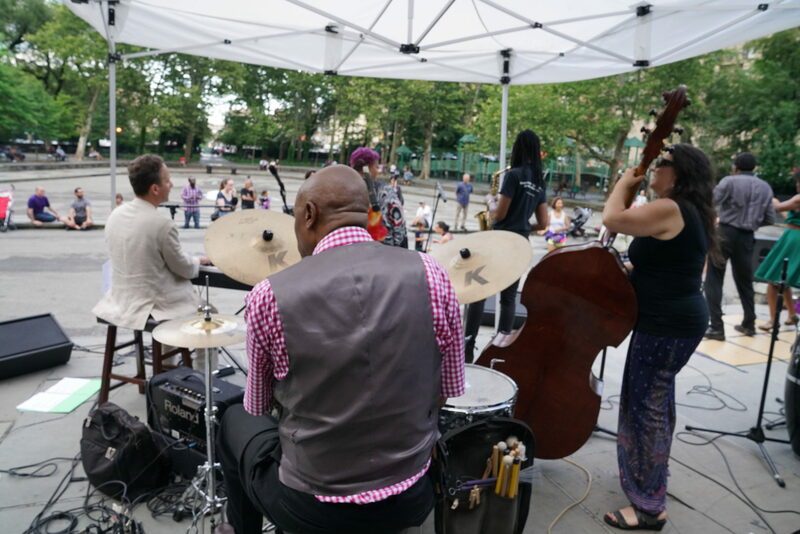 This summer we produced two free concerts in New York City Parks. 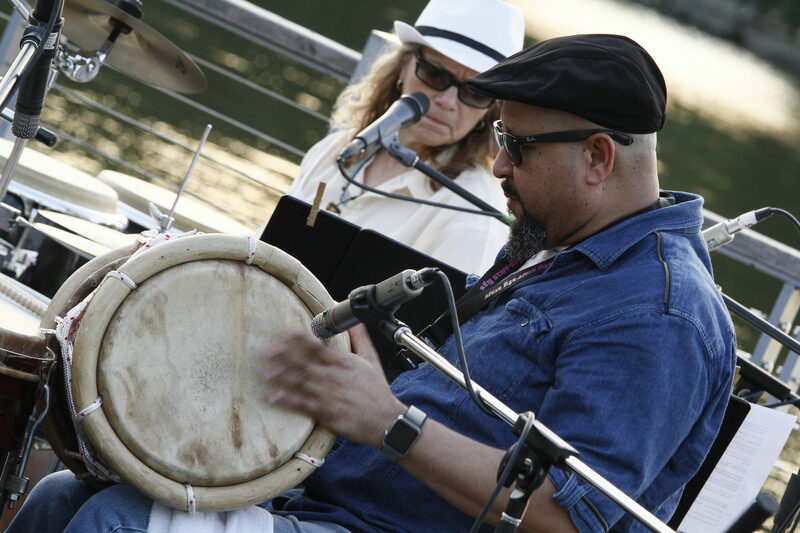 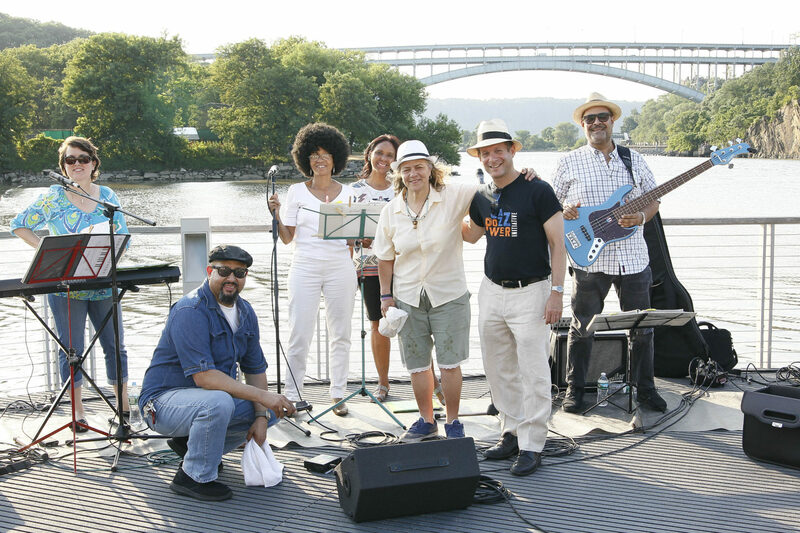 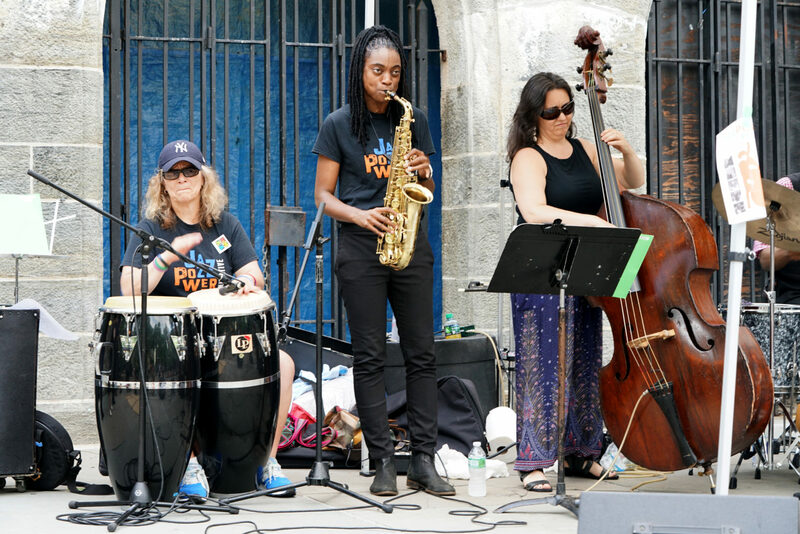 On June 28th, with support from Manhattan Borough President Gale Brewer, we presented “Jazz Power to the People” in the Anne Loftus Playground in Fort Tryon Park on Broadway and Dyckman. 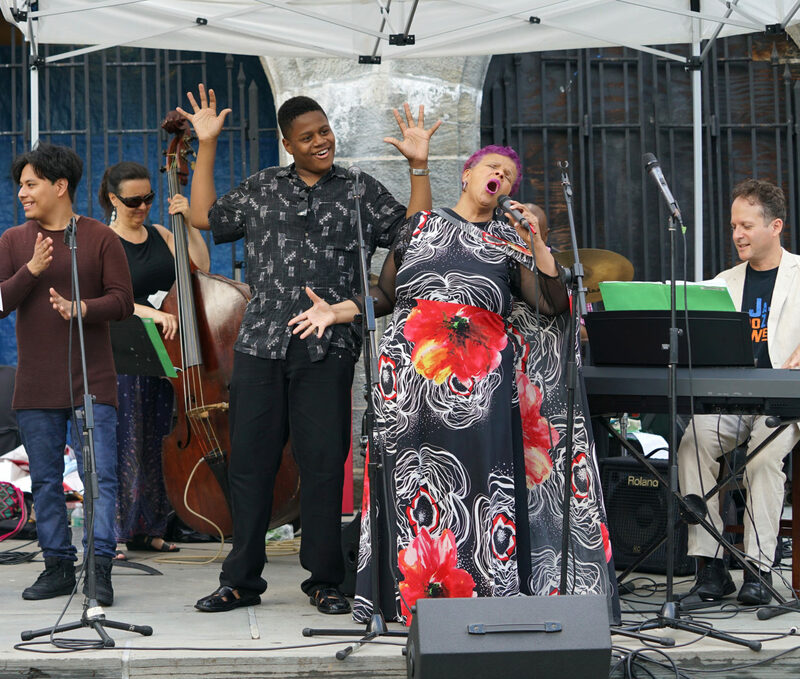 Our ensemble featured Antoinette Montague, voice, Lakecia Benjamin, saxophone, Eli Yamin, piano/voice, Jennifer Vincent, bass, Dave Gibson, drums, Annette Aguilar, Latin percussion, Shireen Dickson, dance, Dexter Jones, dance and Zah! 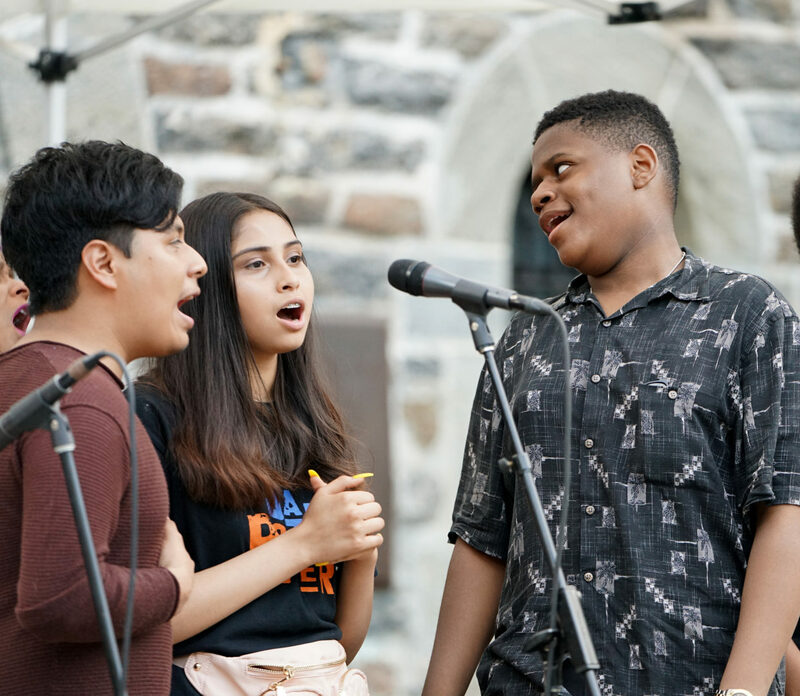 Jazz Power Youth with Keren Canales, Josiah Battle, and Jonathan Hernandez. 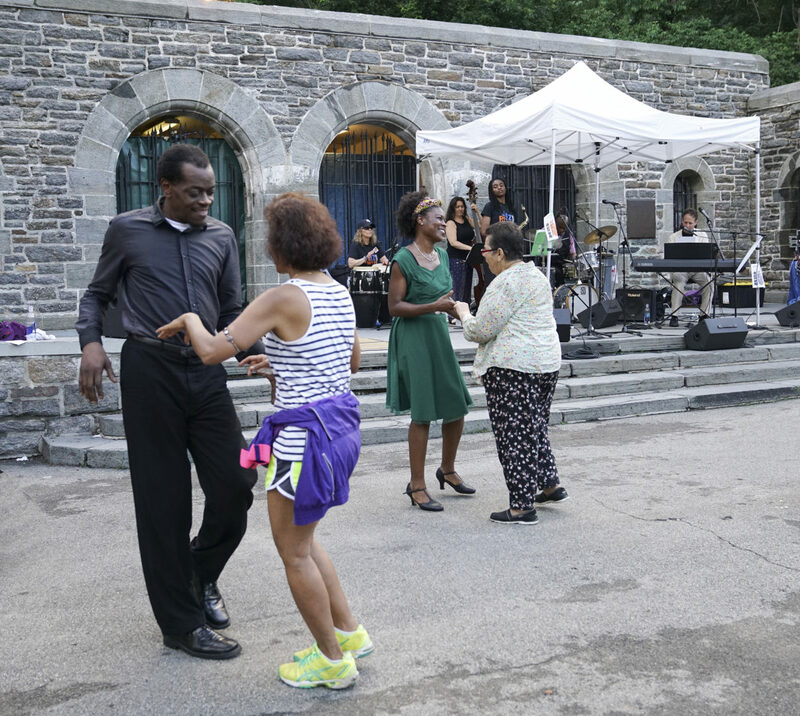 It was wonderful to perform in this magnificent space for an all ages audience! 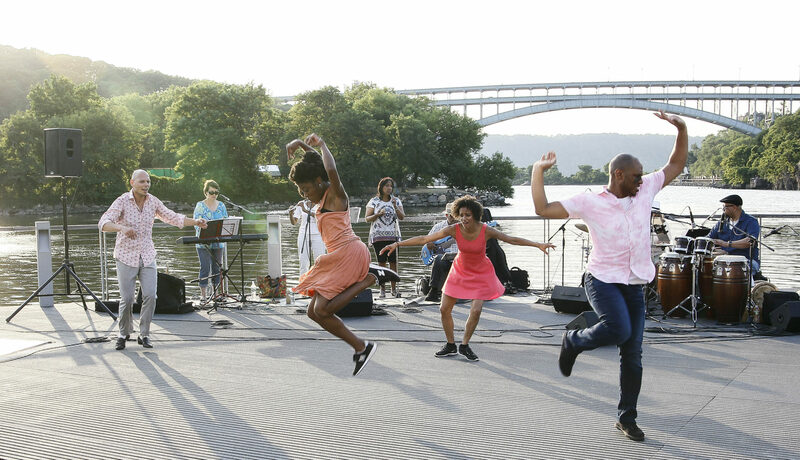 Enjoy photos by Kerry Kehoe. 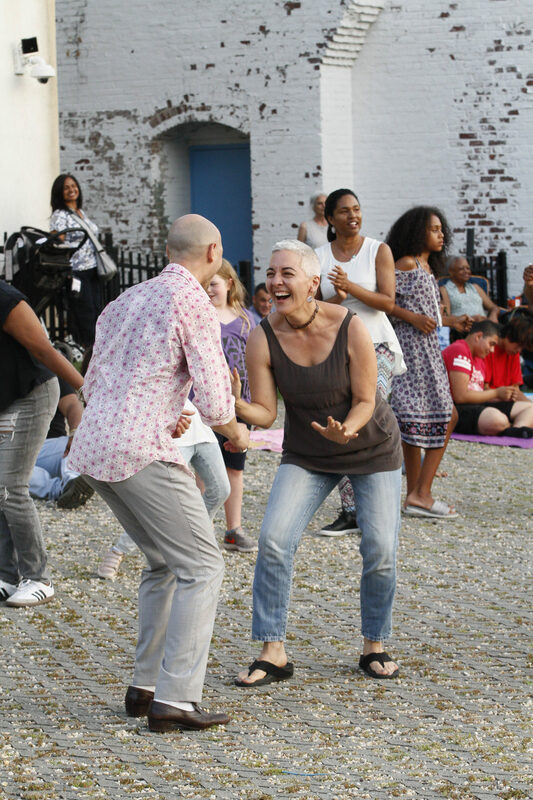 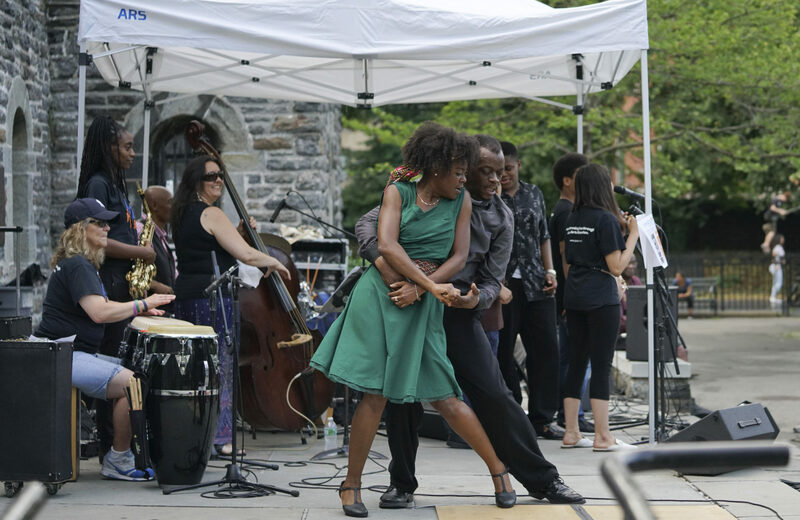 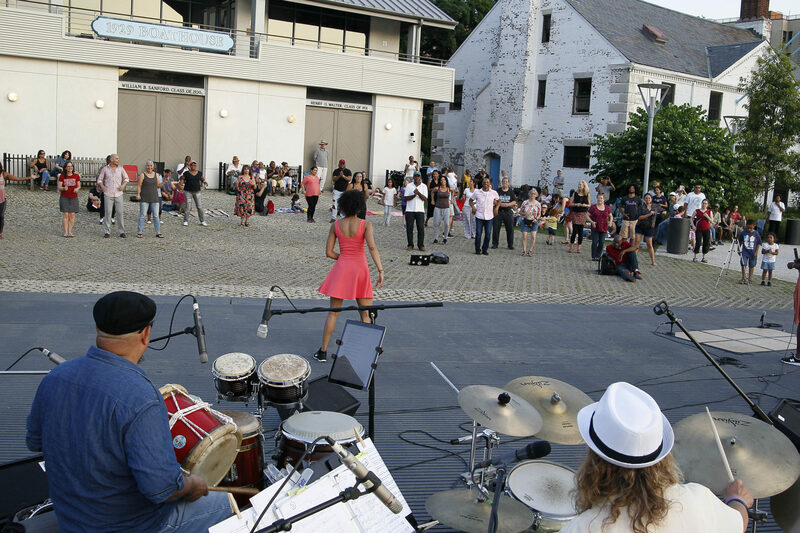 On July 13th, with support from a Partnership for Parks grant funded by Columbia University, we presented “Latin Jazz Meets African American Dance” with Annette Aguilar and StringBeans featuring percussionist Isidro “Boba” Bobadilla and Okra Dance Company. 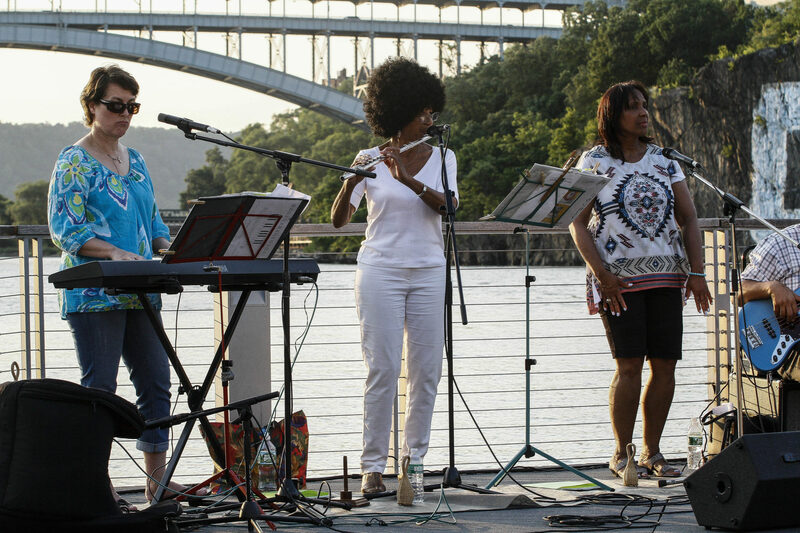 It was the first concert held in front of the Columbia Boathouse in what is now known as Muscota Marsh. 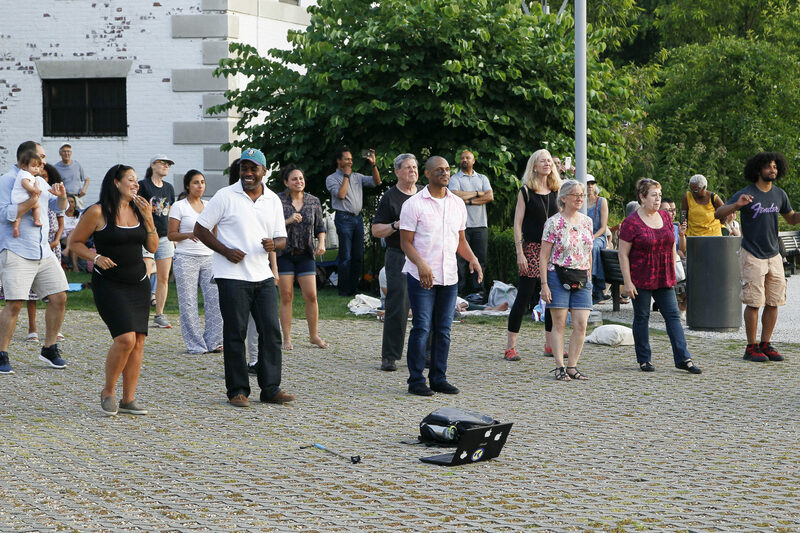 In addition to the audience joining into dance at the end of the concert, “Tito,” the resident Latin Jazz harbour seal paid us all a visit. 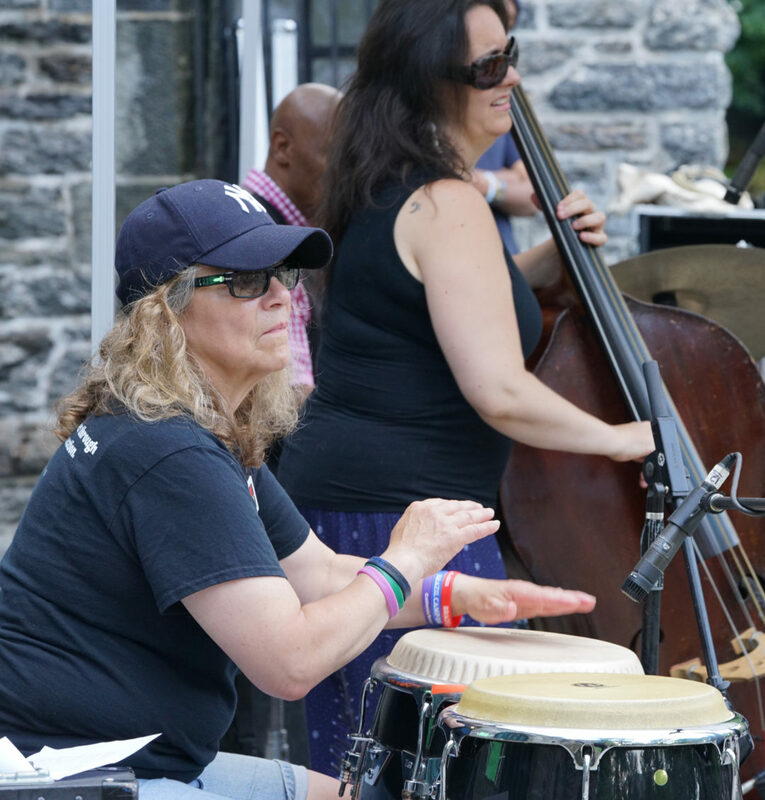 Enjoy the photos by Tony Graves.